How to find a lost Fitbit​? Thousands of people have found their lost Fitbit tracker fast with Find My Fitbit app. Find My Fitbit app for your iPhone and Android phone, iPad, to tablet helps you find your lost Fitbit tracker in minutes. Not days. Find My Fitbit app really works! ​ EthereAlia - "Best find app ever!!!! After looking for over an hour for my Fitbit I downloaded this app & found it in a couple minutes. It was in my son's car in the driveway. I'm sure it won't be the last time I use this." Find My Fitbit finder app works with your Fitbit Ace, Ace 2, Alta, Alta HR, Blaze, Charge, Charge HR, Charge 2, Charge 3, Flex, Flex 2, Inspire, Inspire HR, Ionic, One, Surge, Versa, and Versa Lite. 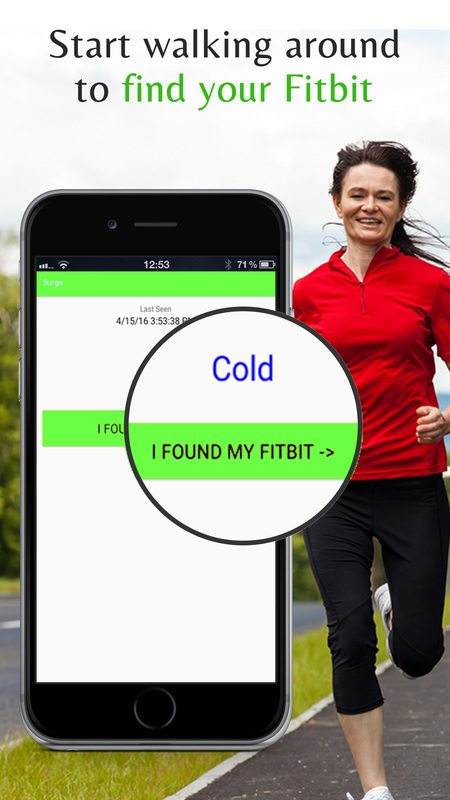 Find My Fitbit app hides all the technical details of your Fitbit and uses the simple Cold, Warmer, Hot approach to finding your lost Fitbit tracker. Using the Bluetooth signal emmited from your Fitbit the Find My Fitbit app calculates an approximate distance from you to your Fitbit. • See your lost Fitbit tracker near by in the App. Tap on it. • Walk around. 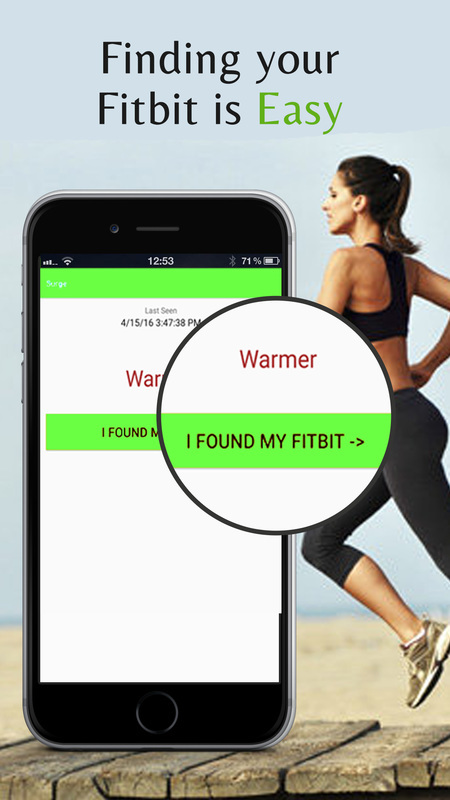 As you move closer to your lost Fitbit tracker the indicator will change from Cold to Warmer. • When you are about 3-5 feet away from your Fitbit tracker the indicator will display Hot. Simple as that. You found your lost Fitbit tracker! NOTE: This app can not find a Fitbit with a dead battery or a Fitbit that is not within a 100 feet of the app. The app can be downloaded before or after you have lost your Fitbit tracker. We recommend downloading the app as soon as you buy your Fitbit to find it quicker. Your battery could run out if you don't act fast. Find My Fitbit app works with your Fitbit Alta, Alta HR, Blaze, Charge, Charge HR, Charge 2, Flex, Flex 2, Ionic, One, and Surge. "Great app!" 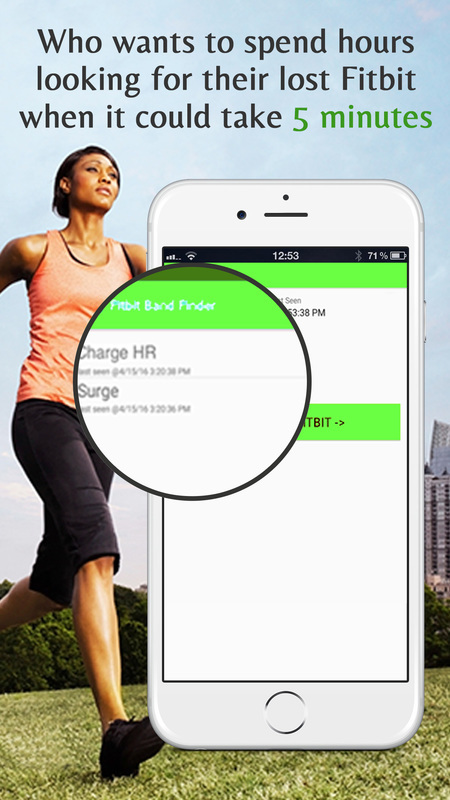 - "This app has helped find my Fitbit on 2 different occasions. Great time saving app worth the price!" "Found it" - "My wife lost her new Fitbit Alta" - "we looked everywhere with no luck - finally I got this app - set it up and found the Fitbit in less then five minutes - this is a great app"
"Great product" - "Worth every penny. I lost my fitbit. Did not have a clue where it was. By using this device I was able to locate it in the sleeve of a jacket in my closet." "Works" - "Thought I had left it on nightstand, but followed the clues to the den and sure enough there it was. Now I have to walk tomorrow." "It worked" - "I truly didn't think this app would work and it did!! So thrilled! I had looked everywhere!!!! Thanks for making this app!!!" 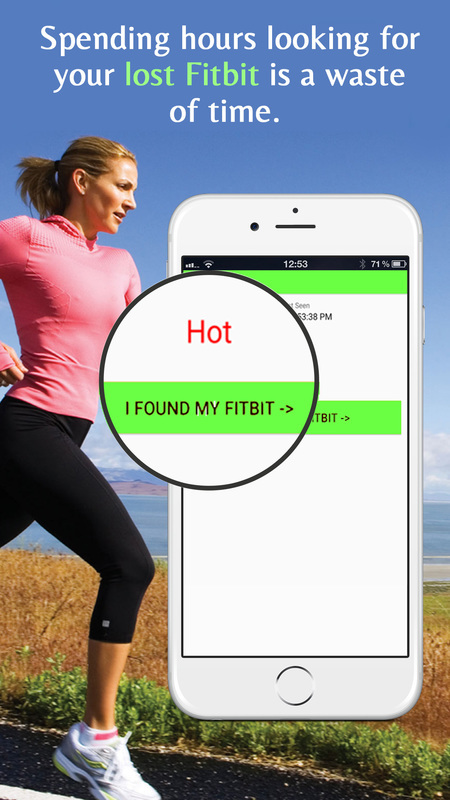 • "Smart Find" technology that knows how Fitbit devices work to find it faster. • Extremely user friendly and easy to use. Technical knowledge of your Fitbit is not required. Find your Fitbit before the battery runs out... Thank you for your support and feel free to contact us if you need our help with the app.